What has Apple ever done for us? Apart from the mouse, DTP, making computers cool... not a lot! Mac versus PC. Apple versus Microsoft. OS X versus Windows. It's a conflict that's been raging since personal computing began – sometimes as a heated battle, sometimes as a cold war – and fanboys on both sides are convinced that the platform they use is the be-all and end-all of computing. But what are the origins of this fierce rivalry? Has Apple's existence been useful competition for 'IBM-compatible' PC users? Has the dominance of Microsoft's software model prompted its smaller rival to think more creatively in order to survive? Or has Apple been a perennial annoyance, charging inflated prices for virtually the same product as its rivals? To answer these questions, we need to review a bit of history and take an impartial look at the evolution of both platforms.Then we'll see just what Apple has brought to the industry since the day when a bearded geek and a clean shaven kid got together in a Californian garage with ambitions to shake up the computer world. Back in the mid-1970s it was becoming possible to build small, cheap computers for the first time. One of the first on the market was the Altair 8800, a rough-and-ready kit available for under $500. At the Homebrew Computer Club in Menlo Park, near San Francisco, two enthusiasts thought that they could do better. Steve Wozniak, the engineer, designed the Apple I. Steve Jobs, the entrepreneur, talked a local store into ordering 50 of the machines. Apple Computer was in business. Even at this early stage, Apple's attitude set it apart as much as its products. Jobs and Wozniak designed their own hardware and operating system, rejecting the Altair's Intel 8080 processor in favour of a chip based on the Motorola 6800. Importantly, they also focused on look and feel, giving their machine a neat wooden case. On the opposite coast, at Harvard, another two-man team was at work. Paul Allen and Bill Gates saw the potential of the Altair and set up a new company, Microsoft, to make software for it. It was Microsoft that IBM would turn to for help completing its own low-cost computer. 'Big Blue' was a much bigger company that was already known for expensive business machines, and it moved more slowly than the two upstart companies, but when its 'PC' finally appeared in 1981, Gates supplied the operating system. Instead of writing the software himself, he simply bought an existing product and repackaged it as MS-DOS (Microsoft Disk Operating System). Gates' masterstroke was to persuade IBM to let Microsoft keep the rights to MS-DOS and sell it separately from the PC. As the 'IBM-compatible' platform became established, buyers of 'clone' PCs from other manufacturers could also choose to use MS-DOS. Microsoft was set to reap the rewards of the computer hardware revolution without ever making any hardware of its own. Microsoft and the PC industry were onto a clear winner, but they were still both about to learn some of their most important lessons from Apple. Jobs got the idea for a mouse-driven user interface from his 1979 visit to Xerox's Palo Alto Research Center (PARC). He incorporated it into the Lisa, but this high-end computer sold poorly. Jef Raskin, an Apple employee, then initiated the Macintosh project (which was named after Raskin's favourite type of apple). 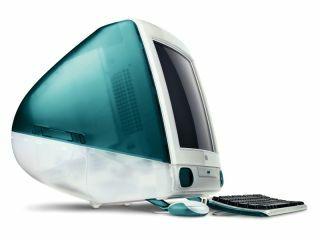 However, Jobs left the company before the first Mac was released to the public. Since the date was 1984, it was almost inevitable that the Macintosh launch advert would be based on George Orwell's novel. It showed a heroic free-thinker destroying Big Brother with a sledgehammer. Of course, Big Brother stood for Big Blue, implying that IBM was the epitome of dull, technical computing. The PC was exciting in that it was cheap ($1,500), but it was still a big beige box that displayed monospaced characters and was operated by typing cryptic commands. The Macintosh, by contrast, was compact, offered detailed graphics and a range of attractive typefaces and let you move files, operate programs or paint pictures just by pointing with the mouse. In describing the $2,500 Mac as 'for the rest of us', Apple wasn't claiming to democratise computing by lowering the price. The credit for that already belonged to the PC. Apple was selling ease of use, and not to the average Joe but to the aspiring middle classes. Glossy ads depicted this new kind of computer not as a boring business tool but as a practical lifestyle accessory. Twenty years on, this distinction is still relevant. One of the Mac's best selling points was the bundle of programs that came with it, which included MacPaint and MacWrite. This spurred PC vendors on to include applications with their machines, which were previously shipped with nothing more than a blinking cursor. Much later on, Apple's package evolved into Apple's iLife software suite, which in turn inspired Microsoft products such as Windows Movie Maker and DVD Maker. In fact, Microsoft also made some of the very first Macintosh applications. Its Chart program, for example, brilliantly exploited the Macintosh's groundbreaking graphics. A young Gates endorsed the Mac as "something that's really new and captures people's imagination". And it was with creative applications – a field on which Microsoft was to make almost no impression at all – that the Mac found its true calling. The graphical interface suddenly made it obvious that you should be able to design something on the screen that would look the same when printed: the 'what you see is what you get' concept (WYSIWYG). The Mac display handled the seeing part, and Apple's LaserWriter printer, released in January 1985, took care of the getting. By July, Aldus' PageMaker program had appeared to take advantage of the possibilities, and the desktop publishing (DTP) revolution was underway. PC users were soon to benefit from the new concept too. After the success of the LaserWriter, firms such as HP offered their own lasers at affordable prices, and PageMaker became available for the PC. This was made possible by another world-changing development: Microsoft's Windows operating system. Microsoft had begun work on a kind of graphical user interface in 1981, but the arrival of the Mac pushed it in a new direction. Version 1 appeared in 1985, and though clunkier than Apple's 'System' it had obvious similarities, right down to the double-outlined dialog boxes and round-cornered buttons. However, in most respects comparing the interfaces was hardly an inspiring exercise. Although Microsoft would produce a few user interface innovations over the coming years, it's fair to say that Windows has generally followed the Mac's lead in this area throughout its history.